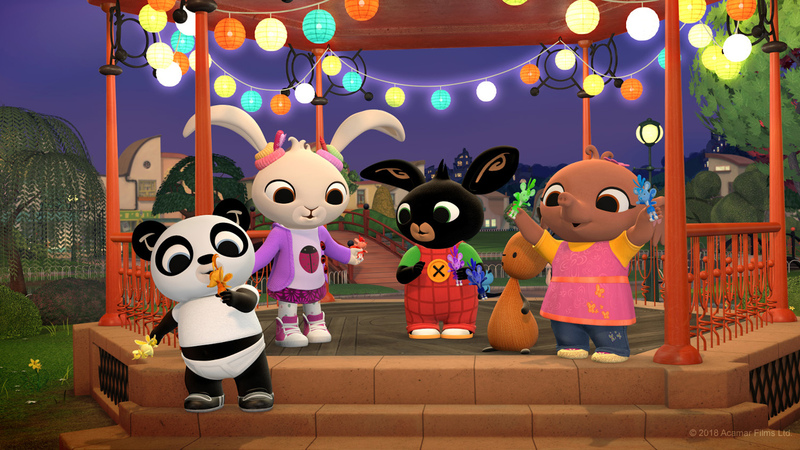 5th April, London: Acamar Films has teamed up with Vue to bring top pre-school show Bing exclusively to the big screen this Spring. From 27th April, parents will be able to treat their youngsters to Bing At The Cinema across all 84 Vue venues nationwide. Featuring seven favourite episodes, “Bingsters” will also be able to enjoy interactive fun and games plus singalongs. What’s more there’s a free pair of Bing ears with every ticket! As of 29th March,the special screenings have been supported by a major marketing campaign. The campaign includes in cinema trailering, on site digital screens, email, paid social, PR and influencer activity over the coming weeks. Eroulla Constantine, Head of Sales at Acamar Films said: “We are thrilled to partner with Vue on Bing’s very first cinema experience. This is a great opportunity to bring children and parents together to engage with their favourite show and supports our on-going brand expansion and multi-platform content strategy”. Johnny Carr, Alternative Content Manager at Vue added: “We can’t wait to showcase Bing at Vue this Spring. Featuring seven Bing episodes, this screening provides parents with the perfect first big screen experience for their little ones”.